SAMSUNG has come out with the Samsung S8 and S8 Plus as two new flagship smartphones designed for the premium market. 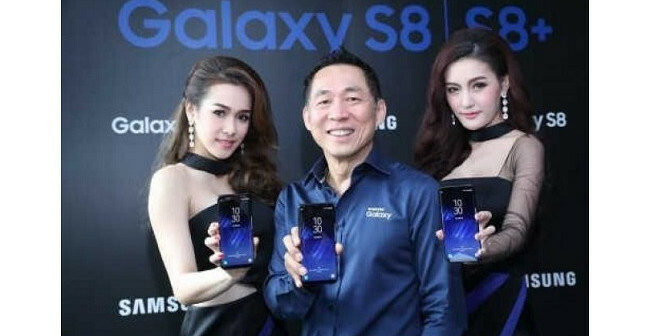 Wichai Pornpratang, corporate vice president for IT and mobile communications at Thai Samsung Electronics Co, said the new models come bundled with innovation technology including facial recognition, iris scanner and fingerprint functions with seamless interaction. The Samsung S8 Plus sports a 6.2-inch infinity display and a bezel design to form a smooth, continuous surface with no bottom or harsh angles. The Samsung S8 pushes the boundaries of traditional smartphones with its seamless hardware design and stunning 5.8-inch infinity display for an immersive viewing experience. The two new smartphones will support new lifestyles and provide new experiences to users, who now spend on average about 230 minutes a day on their phone – 75 minutes for communications, 67 minutes for applications, 45 minutes for entertainment, 24 minutes for browsing and 18 minutes for device management. The phones will be put on the market on May 5 at Bt27,900 for the S8 and Bt30,900 for the S8 Plus. The firm plans to provide accessories such as the Dex, a unique solution that transforms a smartphone into a desktop PC, and new Gear 360 devices to create 4K 360-degree videos and 15MP photos that will support S8 and S8 Plus in the market in the near future. 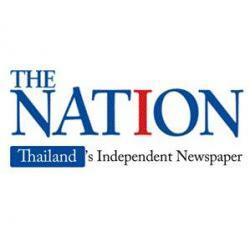 “We spend around 6 per cent of total revenue on research and development so that we will come out with new smartphones and flagship smartphones to support market demand and maintain our |leadership for smartphones in the Thai market. The company will continue releasing new flagship devices to the market in the near future, such as the new Samsung Note by the end of this year.